It all went a bit meta when 5SOS' Michael Clifford met Ronnie Wood… In a Rolling Stones tee! 9. 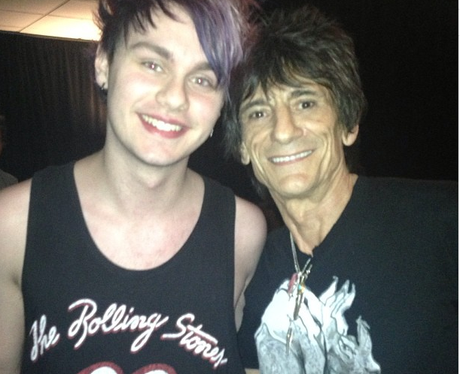 It all went a bit meta when 5SOS' Michael Clifford met Ronnie Wood… In a Rolling Stones tee!